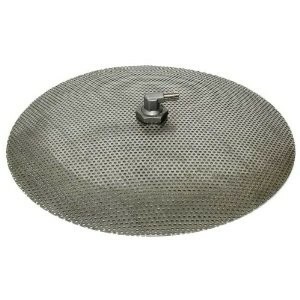 Stainless Steel False Bottom - 12" Diameter - Texas Brewing Inc. This domed 12" Stainless Steel False Bottom fits 10 gallon round water coolers to build a mash tun . It is a very tight fit in a 10 gallon cooler, which means full coverage on the bottom of the cooler. Stainless Steel False Bottom 9"